A look at this year’s Halloween festivities and trick-or-treat schedules for Clarion County and surrounding areas. 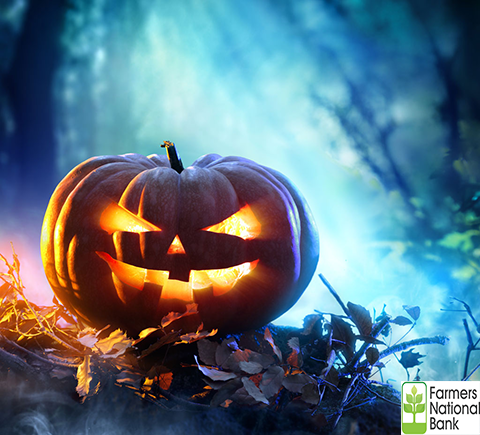 Dating back 2,000 years to the Celtic festival of Samhain, Halloween is an ancient tradition associated with images of witches, ghosts, and vampires. Today, Halloween has evolved into a celebration characterized by child-friendly activities like trick-or-treating, carving pumpkins into jack-o’-lanterns, and dressing in costumes. However, along with fun holiday activities, the scare season also brings some dangers that can create harmful situations for families and their property. Please consider these Halloween Safety Tips courtesy of Nationwide Insurance. Trick or treat is safer – not to mention more fun – in groups, and adult supervision is essential. So get together with other adults and make an evening of it. Bring cell phones for quick pictures and emergencies, but leave them in your pockets to avoid getting distracted. If you’re turning your home into a haunted house, keep safety in mind: make sure steps, sidewalks, porches, and paths are well-lit and free of decorations and holiday props. Keep decorations away from fireplaces and candles. • If you’re going away during Halloween, make it seem like you’re still home by turning down the volume of your answering machine and phone, covering your garage windows, and leaving your curtains in normal positions with valuables out of sight. • Install outdoor lighting (activated by a photocell or movement) to illuminate the area around your home during Halloween. • Consider purchasing a security system that directly alerts police to intruders. • Trim shrubs and large trees before Halloween so trespassers have fewer hiding spots. • Make sure your homeowners’ insurance policy is up-to-date. • Park inside if you can on Halloween. Your garage is your best bet. If you do not have a garage you may want to consider investing in some outdoor lighting for your driveway and yard. • Make sure your car is locked on Halloween. Oftentimes, vandals complete their missions with ease when doors are unlocked and windows are down/cracked. • Consider a car alarm. • Hide your valuables on Halloween. Don’t give thieves any extra incentive to break into your car. When: October 31, 2018 – 6:00 p.m – 8:00 p.m. When: October 31, 2018 – 6:00 p.m. – 8:00 p.m.
Additional Information: Halloween parade begins at at 5:30 p.m. When: October 31, 2018 – 5:30 p.m. – 7:00 p.m.
Additional Information: Party in the gym in the community center at 7. Additional Information: If you would like to participate please turn your porch light on. When: October 30, 2018 – 6:00 p.m. – 8:00 p.m.
Additional Information: Lions Club Halloween Parade: October 25, 2018 – Line up at 6:00 p.m., March at 6:30 p.m.
Additional Information: 4-H Party on October 27 at the Community Building, 6:00 p.m. to 8:00 p.m. When: October 27, 2018 – 5:00 p.m. – 8:00 p.m.
Additional Information: The Fire Hall in Downtown Strattanville will also be handing out candy from 6:00 p.m. to 8:00 p.m. (while it lasts). When: October 31, 2018 – 6:00 p.m. – 7:30 p.m. When: October 31, 2018 – 5:30 p.m. – 7:30 p.m. When: October 28, 2018 – 2:00 p.m – 5:00 p.m. When: October 31, 2018 – 5:30 p.m. Parade starting at the YMCA on Main St.
Additional Information: Trick-or-Treating begins immediately after parade and lasts until 8:00 p.m. When: October 31, 2018 – 6:30 p.m. – 8:00 p.m. When: October 27, 2018 – 4:00 p.m. – 6:00 p.m.
Additional Information: Firehall Trick-or-Treat 5:00 p.m. When: October 27,2018, 9:00 p.m. to 11:00 p.m.
Additional Info: Featuring a DJ and “Scaryoke”, There will be prizes awarded for the three scariest costumes. The kitchen will be open until 11:00 p.m.
Additional Info: FREE EVENT- Line up & Registration from 11 AM – 12 PM; Parade Starts at 12 PM; Trunk or Treating until 3 PM. Prizes Rewarded for Best Costumes in Four Categories Scariest, Group, Cutest and Most Original. Sponsored by: C-93 92.7FM/ WWCH Radio 13, Clarion Hospital, Clarion Mall, Carrier Insurance,Marianne Pharmacy, Medicine Shoppe, Trinity Point Church, Clarion Printing, Clarion Car Club, A.B.A.T.E., Rustler Sales and Service, and Borland Memorials. Additional Info: Every year, Student Honors Association hosts Haunted Dorms in which they decorate an abandoned dorm building, Ballentine Hall, and transform it into a haunted house. Other organizations on campus are invited to participate by buying a room to decorate and scare in during the event. This year Haunted Dorms will be Thursday, October 25th and Friday, October 26th, from 7pm-10pm. It is completely free for university students, faculty, and community members to walk through, donations though are accepted and all proceeds will be benefiting the Clarion Cancer Center. After your tour of Haunted Dorms, light refreshments are available for free. Additional Info: Your journey will begin at Clarview with Mickey, Minnie and friends. You will travel through the Jungle into the land of Frozen! 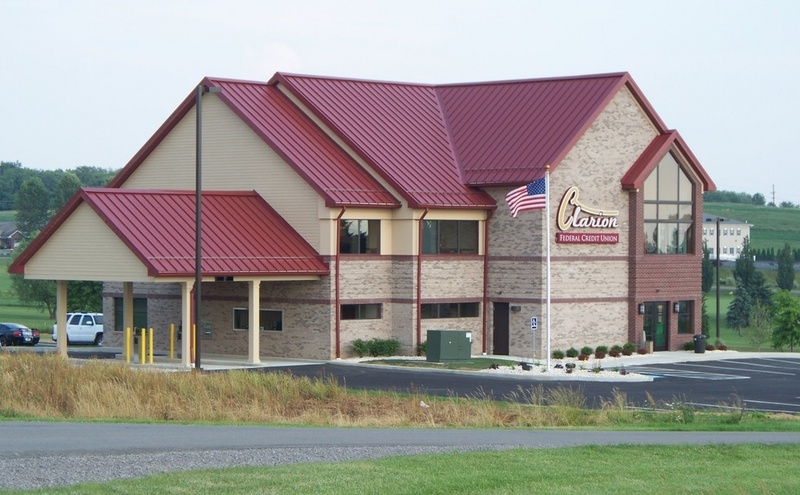 Where: Clarion Eagles 3807, 81 Stone House Road, Clarion, Pa. When: October 20, 11:30 a.m.
Additional Info: There will be a costume parade and crafts. Light lunch will also be provided for the children. When: October 20, 10 a.m. – 1 p.m.
Additional Info: Photos of pets and/or children will be offered for $5/CD of photos. There will be a beautiful new fall backdrop for photos. There will also be raffles and a bake sale for humans and pets. All proceeds benefit TCAR. When: October 19, 20, 26, 27, 31 from 6:00 p.m. to 9:00 p.m. When: October 22, 2018 6 p.m. – 7:30 p.m.
Where: The race will begin and end at Grace Evangelical Church, 2561 Grace Church Road, Knox, PA 16232. When: Saturday, October 27th, 2018 – Rain or Shine, 5k Start Time: 9:00 a.m. – Start time for Runners and Walkers, Trick or Treat Walk for Kids: 9:30 a.m.
Additional Info: Race Day Registration for both the 5K Timed Run/Walk and the Trick or Treat Walk is available from 7:30 a.m. to 8:45 a.m. Race Day Registration is $25.00 per person for the 5K. There will also be a Trick or Treat Walk for children ages 12 and under in the parking lot of Grace Evangelical Church beginning at 9:30 AM. Cost is $10.00 per child. Have questions or want to register via email? Contact hgtrickortreattrot@gmail.com or call 814-203-9691. When: October 19th, 2018 – 6:00 p.m. to 10:00 p.m.
Additional Info: Anyone age 18 or older is welcome; admission is free. The bash will include food, music, scares and prizes, including prizes for best costumes. When: October 31, 2018 7 p.m. – 9 p.m.
Additional Info: Want to experience something different this year for Halloween instead of the standard “trick-or-treaters”? Walk back in time with us into the depths of the Forest Cathedral with an historical character from the past. Come view the ancient forest as we walk beneath the giants by candlelight. Either a French Marine from the 1750’s who saw these massive trees 250 years ago, or a lumberman from the 1800’s will be there to guide us. Candy and hot chocolate will be served at the Log Cabin Inn Environmental Learning Classroom. Bring your flashlights! When: October 27, 2018 1:00 p.m.-2:30 p.m.
Additional Info: Join us in costume for family-friendly fun! For questions, or to reserve a spot, contact the church office at 814-226-8145 or email churchoffice@clarionpresby.org. When: October 25, 2018 2018 6:30 p.m. – 7:00 p.m. When: October 25, 2018, Lineup at 6:00 p.m., Parade starts at 6:30 p.m.
Additional Info: They will be having Trunk or Treat again this year. It will be on the same night as New Bethlehems’ Trick or Treat night. Starting at 5:30pm and go to 7:30pm. There will be Hotdogs and Refreshments while supplies last. Please come out and enjoy a safe event for trick or treating. When: October 20, 1 p.m. – 3 p.m.
Additional Info: This year’s kids Halloween party will be held on October 20th from 1-3, for children ages 2-12. We ask that only 1 adult attends party with the child due to the space available! Thank you. Please sign up at the clubhouse! When: October 21, 5:00 p.m. – 7:00 p.m.
Additional Info: Come show off you best Halloween Costume and have some fun!!! When: October 20, 11:00 a.m. – 5:00 p.m.
Take and carry Crafts, Outdoor games, Amazing Races for Teens 2:00pm, Concessions—Including home-made soups & Pies, Ice Cream, Hot Coco, Baked goods, and lots MORE !! When: October 27, starting at 7:00 p.m. When: Saturday, October 20, 2018- 5:00 p.m. – 8:00 p.m.
Where: 1801 Old State Road, Brookville, Pa.
Additional Info: Cost: $5 per person, children under age 5 are free. Sponsored by Pine Creek Vol Fire Department. For more information, call 814-648-0777. When: October 26, 2018 from 8:30 p.m. to 11:30 p.m. When: October 27, 2018 starting at 9 p.m.
Additional Info: CHAZ Band and prizes for best costumes. When: October 20, 2018 10:00 a.m. to 5 p.m.
Additional Info: Bring the family to our fall festival featuring hay rides, corn maze, barrel train and petting zoo. Lots of pumpkins, fall decorations and yummy things to eat too! Prices: Unlimited activity wristband-$8 includes hay ride, corn maze and barrel train (for the little ones). $3 for single activity ticket. Kids 3 and under are free. CASH ONLY at ticket tent, pumpkin patch, food truck and ice cream stand. Credit/debit cards (not AMEX) accepted inside farm market store. Additional Info: Registration Time/Check In: 9 a.m.
5K Start Time: 10 a.m.
2.2K Fun Walk Start Time: 10:15 a.m. Overall top 3 male/female finishers and in each age group will receive awards. When: October 27-28, 10 a.m. – 10 p.m.
Additional Info: A few fun-loving locals with a passion for Halloween and Brookville have decided to bring the community together for a Halloween Bash. For more information, view the full event schedule. When: Saturday, October 27, 2018 6 p.m.
Additional Info: Join our historical-based walking tour and discover strange but true eerie happenings in our town, if you dare to. Some of these eerie tales are even in our Jefferson County histories! The lighted lantern tours will be led by Jefferson County History Center guides to various venues along Main St and adjacent dark, spooky alleyways. Advance tickets are $10 per person and can be obtained at the History Center at 172-176 Main St, Phone 814-849-0077 or at the Brookville Chamber Office at 278 Main St. Phone 814-849-8448. Limited tickets available at the event. For more information visit: jchconline.org. Additional Info: This annual fundraiser benefits Graffiti Gallery and is open to all ages. Attendees are required to wear some combination of black and white apparel; costumes are encouraged but are not required. Advance tickets are available for purchase at the Transit Fine Arts Gallery, 206 Seneca Street, at the cost of $10 for adults and $5 for children 17 and under. Tickets will also be available at the door for $15. Any questions regarding the Black & White Ball can be directed to Susan McGuire at sgmcguire9@gmail.com. When: Wednesday, October 31, 2018 from 4:30 p.m. – 5:30 p.m.
Additional Info: Downtown businesses & organizations will also be outside handing out goodies. There will be a Trunk-or-Treat at Living Hope Church from 5:00 p.m. to 7:00 p.m. with face painting, give-a-ways, free fun and snacks for kids and families. Then from 6:00 p.m. until 8:00 p.m. another Trunk-or-Treat will take place at Christ United Methodist Church. When: Saturday, October 27, 2018 at 6:00 p.m. – 7:00 p.m.
Additional Info: The Emlenton Civic Club would like to invite all to the Halloween Parade on October 27, 2018. There will be prizes awarded for the Best Overall Costume, Best Duo, Most Creative, Best Homemade Costume and Best Pulled float (non-motorized i.e. wagon). All costumes must be family appropriate. Sign-ups will start 5:30. Treat bags will be provided for all children that attend. Please stop by the Emlenton Civic Club’s Ghost Cafe for light refreshments after the parade. When: Tuesday, October 30, 2018 at 6:00 p.m. – 9:00 p.m. When: Saturday, October 27, 2018 at 6:00 p.m. – 11:00 p.m.
Additional Info: Come join us for a Halloween Party on October 27. The cost is $2.00 and there will be activities for children and adults of all ages! RSVP to Tammy Snyder @ (814) 657-3162 by October 24. When: Friday, October 26, 2018 from 6:00 p.m. – 8:30 p.m.
Additional Info: The YMCA Halloween Harvest Festival is a free event open to the community! Join us for an evening of fun. Come dressed in costume, trick or treat, play games and win prizes from 6:00 – 8:30 pm. Costumes will be judged! When: Saturday, October 27, 2018, 2:00 p.m.
Additional Info: Cindy Smith of Butler will be the MC and lead the children in games. Cookies and donuts with cider or lemonade will follow. Each child will receive a bag of candy to take home. Donations for the party can be brought the day of the party or given to auxiliary members. Following the party, Trick or Treating in Plum Township will be held from 4 to 6 PM. When: October 19 & 20, 26 & 27, 2018, 7:00 p.m. – 10:00 p.m. When: October 24, 2018, 5 p.m. – 8 p.m.
Additional Info:Boo Bash is opened to kids ages 10 & under. The event is free, but we do ask for a donation of one canned good per child, if you are able. Don’t forget to wear your costumes, but remember NO MASKS allowed on adults inside the mall. Check-in and canned good drop-off will be located at Customer Service Center and the Food Court. Play the games and don’t forget the candy and prizes! Additional events and information will be provided as soon as they become available. To submit an event, email news@exploreClarion.com. Disclaimer: exploreClarion.com is providing this guide as a community service and is not responsible for incorrect or inaccurate information. It is suggested that discretion is used when choosing which events are suitable for children.